My Seitech customized TI dolly. This is something Hobie should offer. It’s working very good and I can leave the boat on the Dolly safely. Last edited by mswlogo on Wed Sep 06, 2017 9:04 am, edited 1 time in total. Nice i was thinking of a similar thing with Trailex dolly. Problem was i launch from a slippery boat ramp and almost lost it once walking it down. So now I just hook the trailer to a golf cart or my truck. I added one more photo to the opening post to show that I can Launch and Retrieve while fully rigged as well and never have to remove Ama/Aka's. I removed the supports for the old strap and can now just lift on the Ama slightly and spread it's wings. I might add wheels to the forward Cradle. Main shaft is bending, well flexing really, quite a bit. Can you please share the Seitech model you midified. and what were added? I like how you modied it. Wondering how this dolly has worked for you? 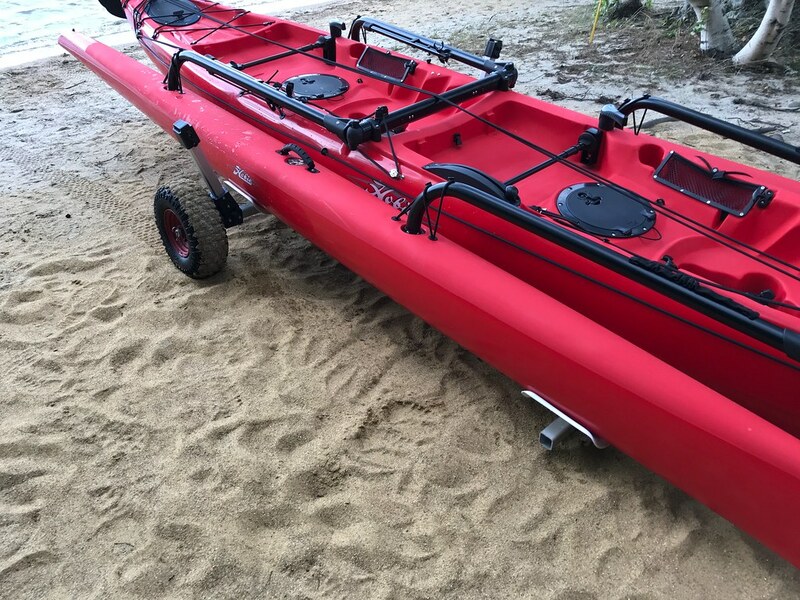 Am looking at two other dolly's to potentially modify with Hobie Tandem Island cradles. One is the Trailex Universal Dolly. 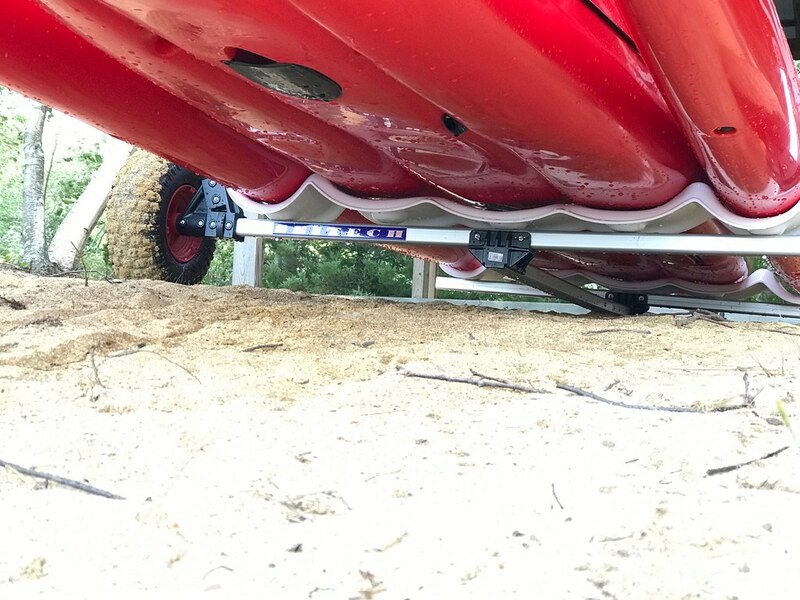 The other is the WheelEEZ Boat Dolly. 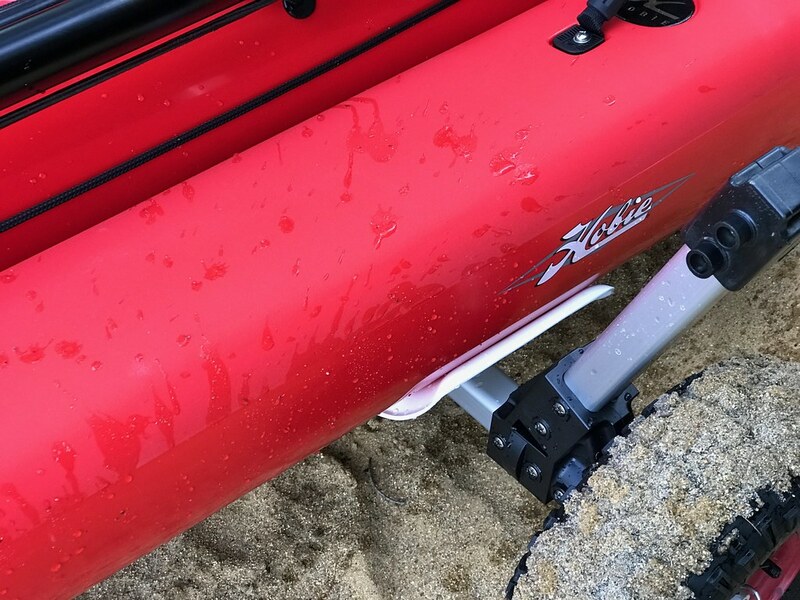 Our Hobie dealer recommended the Hobie dolly. 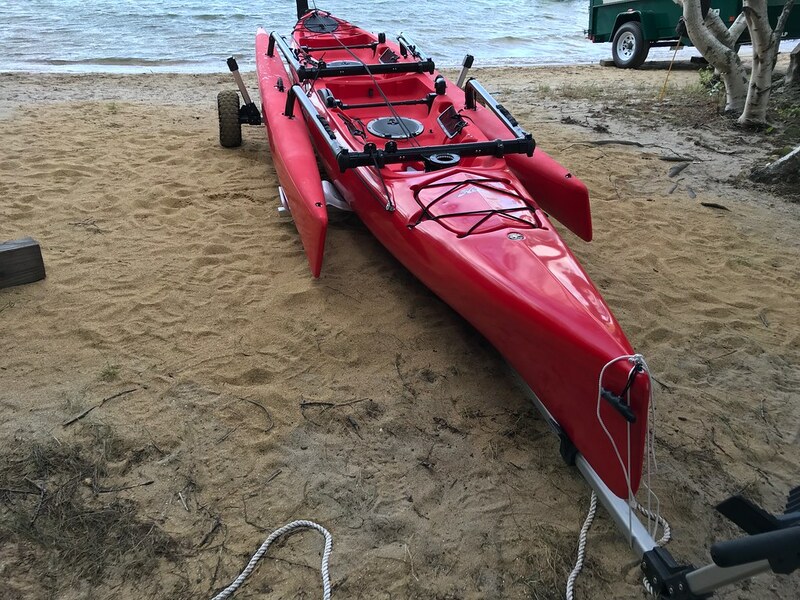 I tried that and had difficulty getting the Hobie dolly under the TI both on land and getting out of the water. Was thinking these dollys with a longer tongue would be easier to place/load the TI with. 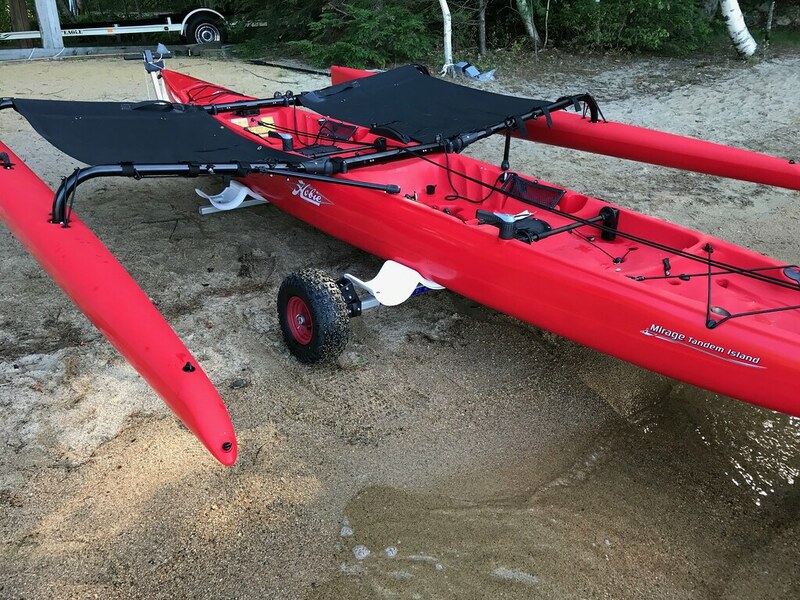 The balloon wheels are very buoyant adding to the difficulty of getting a good balanced placement under the TI--which is my #1 problem I now have with the Hobie scupper cart. Physics gets the upper hand. Have any others tried these or similar dollys? Looking for feedback on potential strength issues, with putting a front cross-bar on the tongue and it torquing the tongue too much.